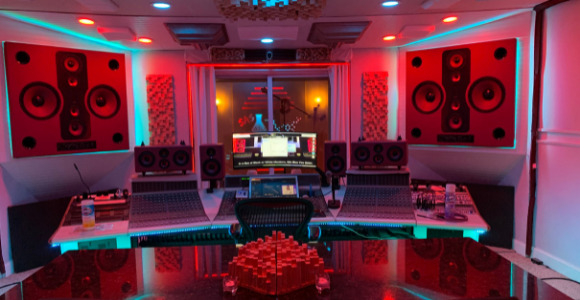 Need a large private recording studio, with its own private lounge and bathroom? Do you also want a exercise gym with spa bathroom with exotic stone rain shower plus a sauna, and a conference room for your label and a&r meeting? Do you have a tour/shows planned and need a large rehearsal space for your band, DJ or dancers to prepare for your tour? What about a luxury penthouse for resting for weekly or monthly lock-outs. Full kitchen, large bedroom/masterbath's. Then Soul Asylum Atlanta is where you will want to record, rehearse, take fitness classes or have your listen parties and industry meetings. Lounge & every section has it's own private bathrooms and all billable rooms are video linked and are wired with Hd camera's and mics for live streaming. PLEASE CALL (404) 991-7081 for more info. Located off Marta with 24-hour access..
Mixing, Mastering and analog conversion......."LET US MIX YOUR ALBUM"
© 2016 Soul Asylum Studios All rights reserved.